These are my current favorite products right now. Meaning: the products that I used most frequently for the past several weeks. Please read below to see my current favorite skincare, bodycare, and makeup product, as well as some fashion items that I wear on repeat a lot ! There's also a wellness product to support a healthy lifestyle / beautiful skin from within - which is my current favorite tea ! What I love about this blush is the subtle color it gives to my complexion. This might not be your most pigmented blush but that's why I like it. Sometimes I need a more subtle blush for daily makeup especially if I don't go anywhere fancy. The shade turns out to be a peachy pink on my complexion, perfect for light everyday makeup look. Oh and it's matte too! I am currently drinking this tea almost every night before I go to sleep. It is a black tea enriched with mango flavour. The package has no brand name so I don't know what to call this tea. It only has the name CV. Anugrah Alam on the back of the packaging and the word "Indonesia" at the front. The fruity mango taste in this tea is oh-so-good, the aroma is also very nice and makes me relax a bit. I think it can be served hot or cold (although I haven't tried it cold yet). Sometimes I don't even have to add sugar in it because for me it already has a tinge of sweetness to it from the mango infusion. I got this from Foodmart at Citos a while ago and I think it was geared towards the expatriate market, but nonetheless I like it so much and would definitely buy it again and try other variants from the same brand. I've been into lazy pants lately and the more I aged the more I hated wearing skinny jeans, lol. Now I much prefer loose clothing and unrestricted pants and tops because I find that those are very convenient to wear (and very forgiving too when it comes to covering imperfect body parts, lol). This was actually my first lazy pants. For all this time I thought lose pants would look bad on my petite frame and would make me look shorter, but when I tried this Joe Fresh pants it actually looks quite nice on my short legs (;p), and that's how I fell in love with lazy pants. Particularly this Joe Fresh "black and white" slightly tapered one. 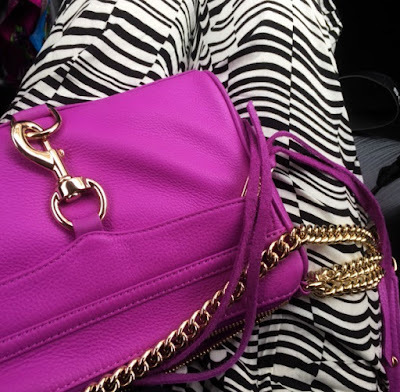 I can see why this is the most hyped bags among the youtube fashion gurus and fashion bloggers; it has fun vibrant colors, gorgeous leather material, lavish hardware, and it's small yet can fit all of our daily essentials. 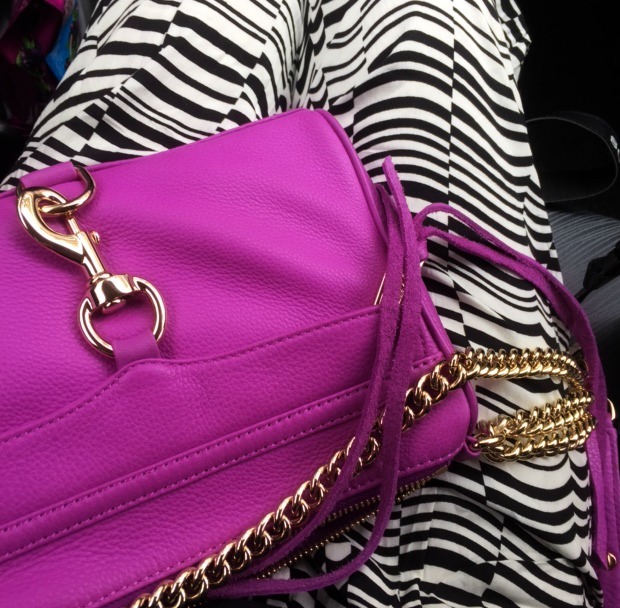 This bag comes in many different shades and hardwares, mine is in purple shade with gold hardware. I am totally in love with this bag right now and at one time I even worn this bag 2 weeks in a row :) - I also have plan to get another one in blue with silver hardware (*nabung dulu tapinya ;p). To read my previous Monthly Favorite posts, click HERE.